HDA Members performed The Canterbury Tales on December 7, 8, 9 under the direction of Mike Calderone. 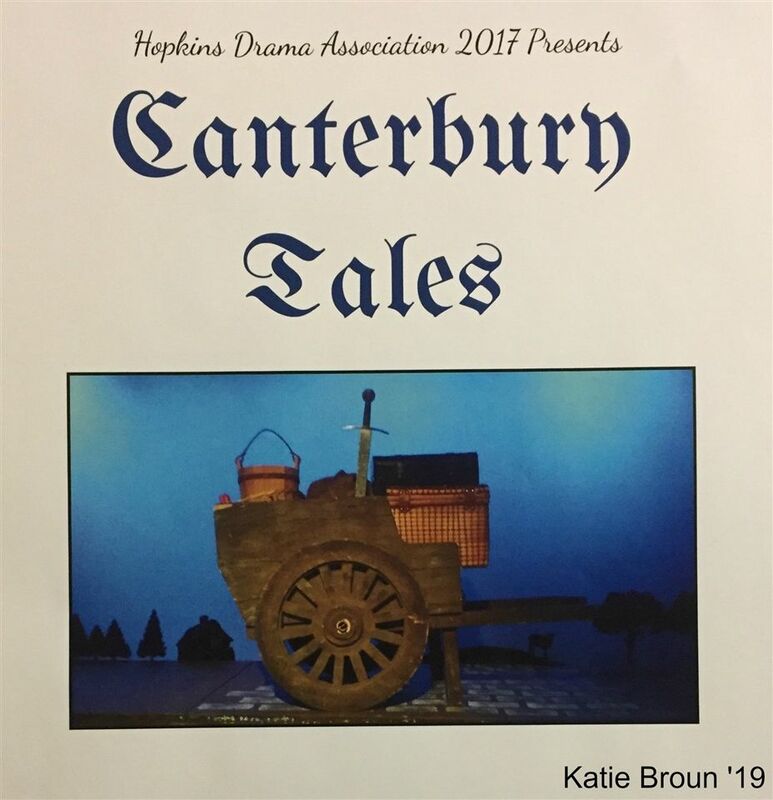 Hopkins Drama Association (HDA) brought a classical text to life during the winter production of The Canterbury Tales on December 7, 8, and 9. Taking the place of the usual winter one act play, this show is directed and produced by Drama Teacher Mike Calderone, who described it as “a complete show.” The Canterbury Tales is a set of stories written by Geoffery Chaucer that describe the lives of twenty-nine pilgrims on a religious pilgrimage to Canterbury, England. In previous years, the Sophomore Class spent a unit in English class reading a selection of stories from The Canterbury Tales and memorized the opening verses of The General Prologue. Sophomores, along with English faculty members, would recite the verses in an annual Assembly performance that made this text a quintessential part of the Hopkins student experience.